On a scale of 1 to 10, with 10 being the most important, consumers rated the attributes “grass fed” at 7.2, “environmental impact” a 7.5, “hormone/antibiotic free” 7.9, and “taste” 8.7. Grass-fed beef production typically has a favorable environmental impact and is generally hormone and antibiotic-free. However, there can be wide variations in the taste of grass-fed beef. Since taste was the most highly rated of the four attributes, it is important that grass-fed beef producers pay particular atten­tion to factors that can create off flavors. Well fin­ished, high quality grass-fed beef typically produces an outstanding robust beef flavor that many chefs and consumers prefer. In addition to this ideal flavor comes, "naturally", the nutrition as well. So how do you cut through the noise and figure out exactly what went into your beef? What questions to ask? Will you take the risk of paying a premium for bad grass-fed beef? Below is a short list of bullet points to help you cut through the noise and steer clear of buyers remorse. What breed of cow do you raise? Mongrel herds are like most in the US, inefficient and skinny. When their genetic makeup has been accustomed to the starchy grains of their ancestral roots it's difficult for any cow to get fat when quickly switching it's diet to grass. They generally don't have an ideal flavor nor nutrition in this situation. It takes a lot of inputs to keep a herd like this happy on grass alone. Bar 10 Beef runs a Red Devon cow; a heritage breed that's known to be fat, while pregnant, with a calf, on the Arizona Strip in the middle of the winter; how about that for genetics! Ask how they're improving the herds genetics each year. Grass-Fed 100%? The label for grass-fed could be misleading so be sure to ask your rancher exactly what it has eaten. Has it eaten corn at any point? Some will fatten them up on corn and claim this is a good thing at the end of their lives and although it'll put more weight on the cow and thus more money in the ranchers pocket this is far from the truth. A cow on corn for two weeks will completely change the fat content of that animal and just like all the other food in America it will become less healthy for you to eat. (Much healthier, most likely than anything you could buy at the store). Our bodies need natures ratios of fats to promote growth. There is no such thing as bad fat when it comes to nature but there is such thing as an unbalanced ratios which causes problems. Most of the "food-like substances" that make up the American meal are way out of balance. Omega-3's have a short shelf life and are therefore removed from most food. Ask about soil. 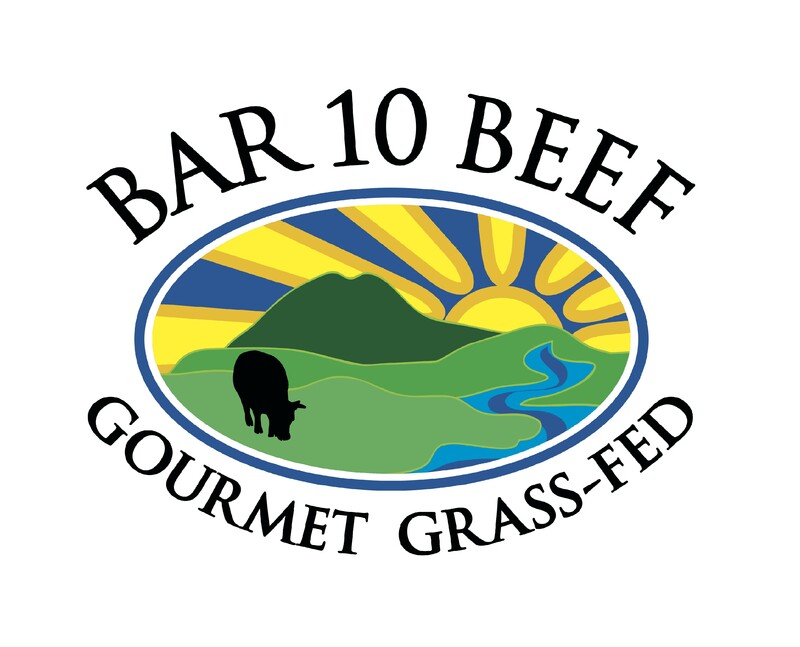 If your rancher does anything to promote the soil he's probably along the same vein we are here at Bar 10 Beef. If he claims grass is grass and can't give you much information i'd "steer" clear;) What we've realized over the past 10-15 years is the root of all our success starts with the dirt. Every tablespoon of healthy dirt will contain 5 billion living organisms. That's complex! When soil is depleted the nutrients the cows are going to glean are omitted from a potentially ideal situation. We're not ranchers anymore, we're soil biologists! Ask him why he does it? Why produce Grass-Fed beef? Doing it the right way isn't easy and ranchers that are doing it the right way could talk for hours about the "why". You're kind of looking for a hippie-cowboy of sorts, although I wouldn't call him that, it might not sit well! We do it for a lot of reasons but one overwhelming reason is that we can't go against the truth we know and we have come to believe that we learn when we strive to take care of the the land and the animals the way God/Nature intended. It's always improving. What's the difference between your beef and store bought grass-fed beef? We could write a book of differences. After asking these questions you feel satisfied with the answers than it's probably a good place to support! These are just a few tips. If you haven't read much about our food situation in America a few great books include, In Defense of Food by Michael Pollan, The Omnivores Dilemma by Michael Pollan, The Marvelous Pigness of Pigs by Joel Salatin or The Jungle by Upton Sinclair. These books have made a huge impact on our lives and helped to shape the way we view the world of food. 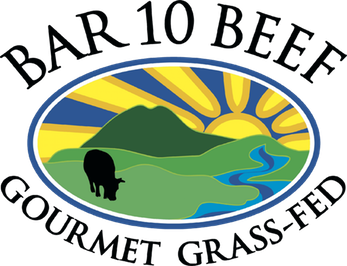 If you enjoy your Bar 10 Beef experience please share with your friends! We appreciate your support and will continue to provide information to help you cut through the noise!